Whether on a dairy farm, a restaurant on the hill, a shop producing parts or at a medical facility, the reality is that for most businesses, employees determine if business goals are achieved and customers are satisfied. How can management get the best out of them? How can management instill in their employees the values that are important to them? As an Extension Educator with Michigan State University, I have spent a lot of time in recent years talking about those questions with dairy farmers. 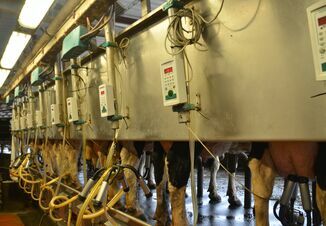 Dairy farms in the county and around the state employ people at a rate of approximately 1 employee per 50 cows. 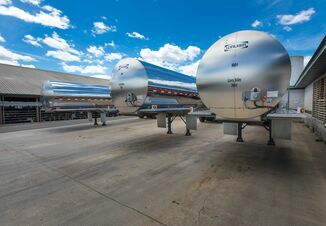 With around 425,000 dairy cows in Michigan, that equates to about 8,500 employees on dairy farms in this state. Those employees are critical to achieving the goal of producing high quality food from healthy, comfortable cows in an environmentally safe manner. Farmers, like many business owners and managers, often complain about employees. I often hear laughable, yet sad stories about employee excuses for not coming to work or about escapades at the workplace. And as is only natural, the finger is squarely pointed at employees. Frankly, there are faults on both ends of that finger. My work has been aimed at helping farmers look at what they do as employers and how that impacts employee performance, and then work with them to change what they do to hopefully get better employee performance and retention. While it is always easier to lay the blame elsewhere than to change ourselves, the problem is important enough that we cannot default to this. Ineffective employee management leads to high turnover rates, missed opportunities, increased costs and increased mistakes, including injuries. It is time to change. But recognizing that change is important does not make it any easier. I have long told dairy farmers that managing cows is much easier than managing employees. Yet, better cow performance (or better performance in any business) often happens because of better employee management, which begins with improved self-management. It needs to start at the top and it needs to start with you. At the same time, my colleagues and I with Michigan State University Extension work to directly help employees increase their skill level and have conducted workshops for employees. These are designed to help employees understand not only how they should do things, but as importantly, the why behind the protocols. But even these are not enough. As I continue to talk with farmers and colleagues and read about employee performance, the issue of work ethic keeps coming up. The reality is that many people do not possess a strong work ethic that drives them in both knowing the right thing to do and doing it. I have been planning a series of articles and online learning modules for employees that focus on basic workplace values and performance that will help them to be successful in their job, whatever it is. As I do that, I am interested to hear from employees as well as employers on what values, skills and actions are critical from their viewpoint and what can be done to help improve the partnership between employers and employees in the workplace. This is an invitation to contact me and share your thoughts and experience. What I am seeking are positive suggestions that others could adopt in their workplace. How can management be better? What brings out the best in employees? How do you instill values in employees? What motivators have been effective? Email your thoughts to me at durstp@msu.edu. As I continue to develop this area I will share what I have learned back with you. The goal is to develop workplaces, whether on the farm or not, where employers and employees work together better for a better business. That is something we can all get behind!